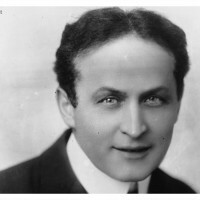 Houdini was concerned that spiritualists and mediums would attempt to exploit his legacy by claiming to contact him after he passed, and despite his doubts about spiritualists and mediums, Houdini was convinced he had the ability to communicate with the living. 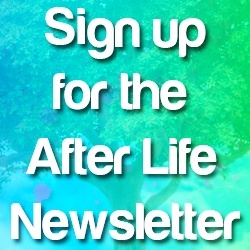 To ensure against any false claims of communicating with him in the afterlife the message would have to contain the secret code he left to Bess who was apparently the only person to know of it. The secret code was to be revealed through 10 key words randomly chosen from a letter Houdini’s friend Conan Doyle had written, and they were well memorized by Bess as she and Harry used them regularly in their mind-reading trick performances to code and decode messages. Without knowing the following key words, their order and formulas, it would seem impossible for anyone else to be able to reveal and verify Houdini’s message. On January 7, 1929, during a séance at Bess’ home after Houdini’s death Arthur Ford not only relayed Houdini’s message through his spirit guide but also listed the ten key words and the method of decoding them and claimed this was only made possible by the spirit of Houdini and his mother. In the presence of witnesses at the séance, Bess confirmed the secret message “Rosabelle believe” to be correct and on January 29, 1929, published an official statement in the NY Times signed by witnesses confirming the message to be accurate. Despite the lack of evidence to disprove the authenticity of Houdini’s message from the afterlife, controversy over communicating with the afterlife was a sign of the times. Mainstream America was not a fan of spirit communication. With very few supporters if you believed in it you were considered a ‘nut’. For Bess, the social pressures were mounting for her to avoid being an outcast, she became inconsistent, and fourteen months later she publicly changed her position. On March 18, 1930, the New York Times reported, “Numerous attempts to convince Mrs. Houdini that her husband is communicating through a medium were made, she said, but she steadfastly denied that any of the mediums presented the clue by which she was to recognize a legitimate message.” The credibility of Houdini genuinely communicating from the afterlife was now completely diminished with contradictory claims on all sides.